Located in the heart of an exceptional region, we are committed to doing our best to preserve this environment for future generations. Just as we seek to secure the company’s long-term future, we also seek to preserve its surrounding fabric, which obviously includes the environment. Water is a rare and precious resource. Every effort has to be made not to waste it. 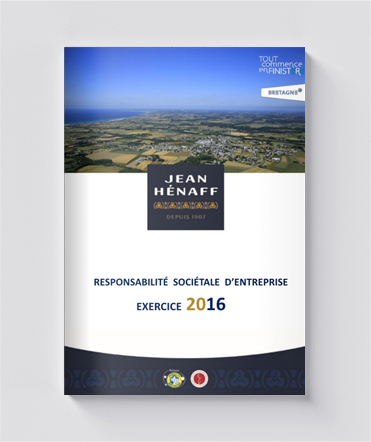 Jean Hénaff has been actively safeguarding water resources since its very creation in 1907. From collection to discharge, the company takes great care to safeguard water resources throughout the entire water cycle. This explains the original decision to establish the plant next to a river, along with the construction of its own water tower during the 1950s. This strong environmental concern also applies downstream with the discharge of waters into the natural environment: spreading on fields or a return to spring water condition. As of 1958, Hénaff pioneered environmental initiatives by setting up a wastewater treatment system; in 2008, Jean Hénaff commissioned the construction of a wastewater treatment plant and an organic wastewater spreading system. 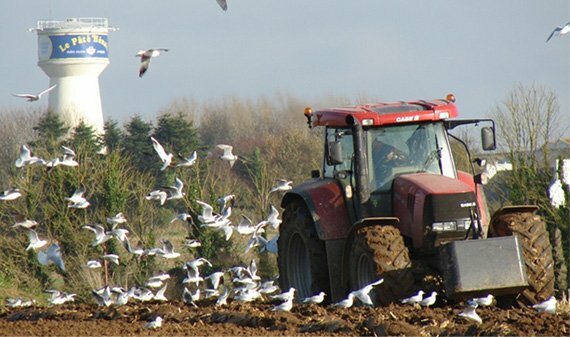 The environment is at the heart of the process, and farmers also reap the benefits through a virtuous circular economy. In 2007, the Loire-Brittany water board awarded Jean Hénaff this distinction, in the category “Water Management in the Industrial Sector”. The fruit of a long-standing commitment to environmental respect, implemented in particular by a sensible and responsible use of water resources. Since 1958, Jean Hénaff has deployed a number of water management systems at its plant aimed at minimising consumption. Nothing is lost, everything is transformed! Aluminium, steel or glass: all the containers used in the production of Jean Hénaff appertised products can be recycled. By separating waste at source, they can be remodelled as new everyday items. 20 tins of Hénaff Pâté can be used to create a saucepan! Before and after: at Hénaff, the cardboard packaging is made out of recycled paper. Employees also play an active role as the company has instigated an internal waste sorting system. Emissions of Co2 generated by the steel and canned goods industry have decreased by 50% over the last 40 years. Since 1998, Jean Hénaff has implemented standard ISO 14001, which sets out a certain number of environmental requirements, in particular, concerning the consumption of water, electricity, gas, etc. Jean Hénaff has set up an action plan based on these indicators that helps it limit its consumption. The company also monitors its carbon footprint (bilan carbone®). Objective: minimise greenhouse gas emissions by the agri-foods business. Hénaff selects its ingredients with the greatest care and attention in order to guarantee top-quality products with an authentic flavour. From Brittany to Sao Tomé: since 2007, Hénaff has been involved in the organic, fair trade production of pepper by supporting a local cooperative on this island, off the Guinean coast. A system based on a guaranteed fixed price and pre-financing supports the development of young producers in this cooperative. Result: Hénaff now purchases all its pepper supplies from this cooperative.